Happy Cinco de Mayo! 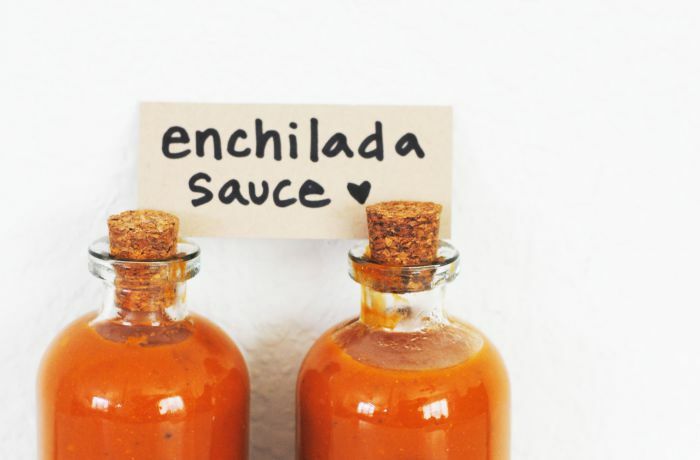 In honor of this festive holiday I'm posting a homemade enchilada sauce, which you'll also find featured in purely elizabeth's spring mag (which you can read here!). 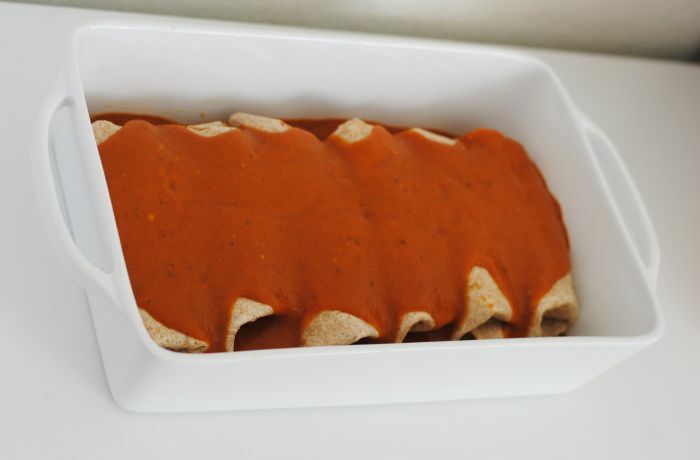 Enchilada sauce is actually really easy to make, and so much healthier than most store bought alternatives. 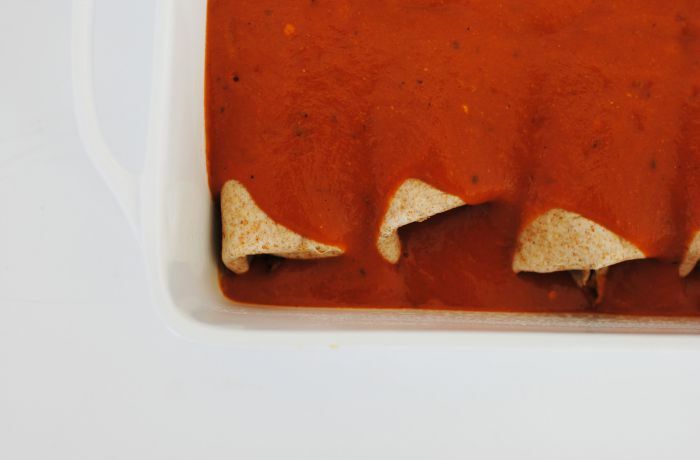 Homemade enchilada sauce can easily be tweaked to have a full bodied yet mild flavor or have a kick of spice. This recipe is pretty mild, but if you want more of a bite feel free to throw in more cayenne. The filling for my enchiladas was made with a base local purple asparagus, sweet potatoes and black beans. I'm not posting that recipe here, so you'll have to read the mag to find it! The filling really was delicious, and pairs perfectly with this sauce. If you're throwing a party, double the batch of sauce and bottle it for adorable party favors. Or, make some extra and freeze it! It would be a delicious addition to soups, chilis, stews and casseroles as well. In a small bowl combine the gluten-free flour and all spices. In a medium saucepan, heat olive oil over medium heat. Add the tomato paste, followed by the bowl of spices. Cook for about 30 seconds, whisking continuously. Next, whisk in the broth, then increase heat and bring to a boil. Reduce down to a simmer, and continue cooking for about 10-12 minutes until slightly thickened. If you want a thicker sauce, continue reducing for 5 more minutes. Adjust salt, pepper and spices as needed and keep warm on the stove while preparing your enchilada filling, or if not using immediately let cool slightly and refrigerate.